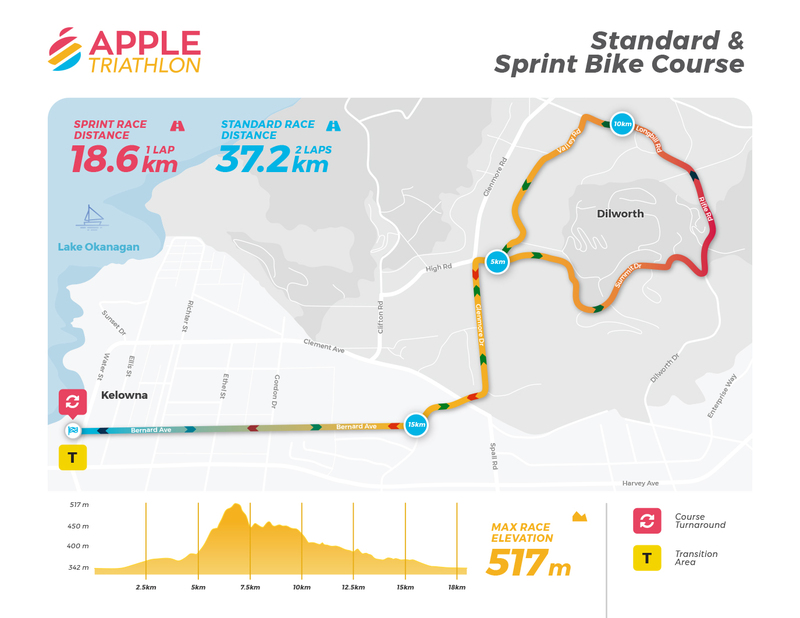 2019 will celebrate the 36th anniversary of the Kelowna Apple Triathlon. 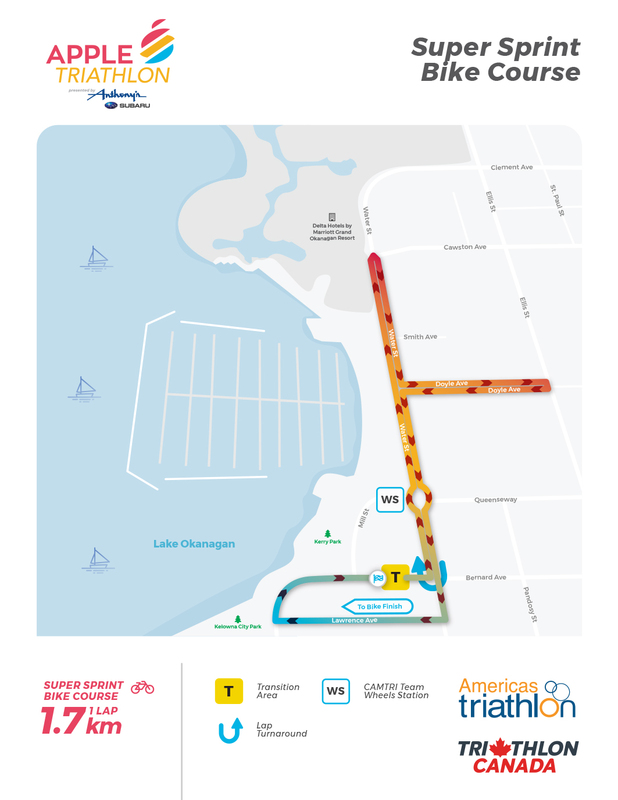 In celebration, we will be going back to our roots and using the original venue and finish line from the inaugural 1983 race. 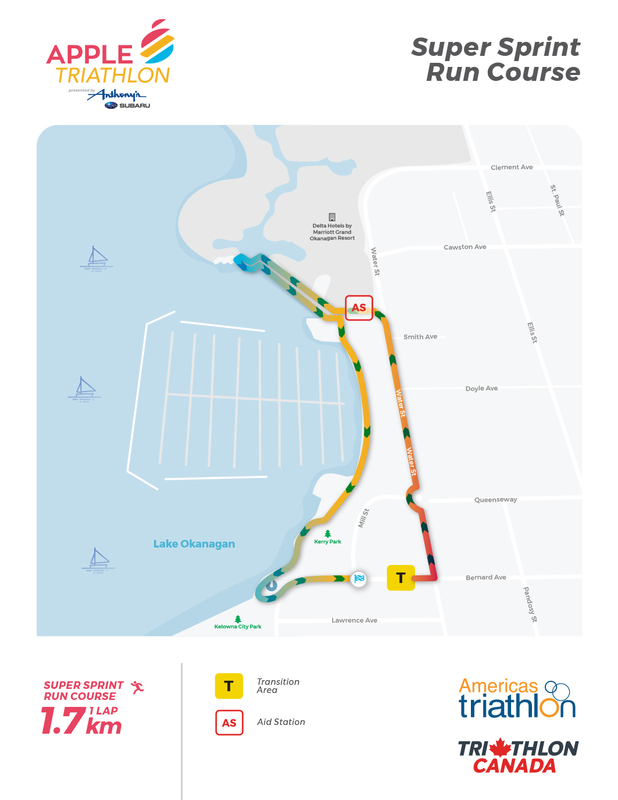 The race will start and end at the foot of Bernard Ave, at the North end of City Park, adjacent to the iconic Sails. 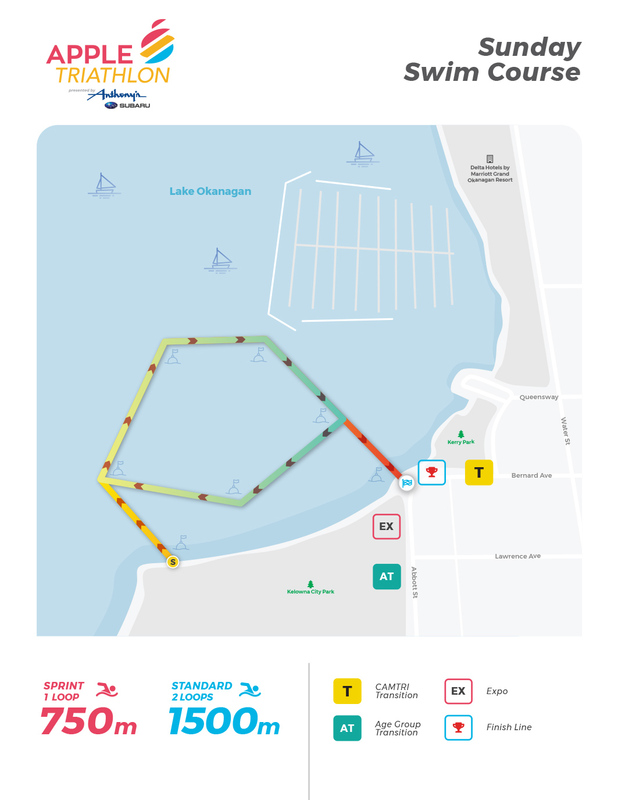 Stay tuned for further course and venue information which will be released soon! 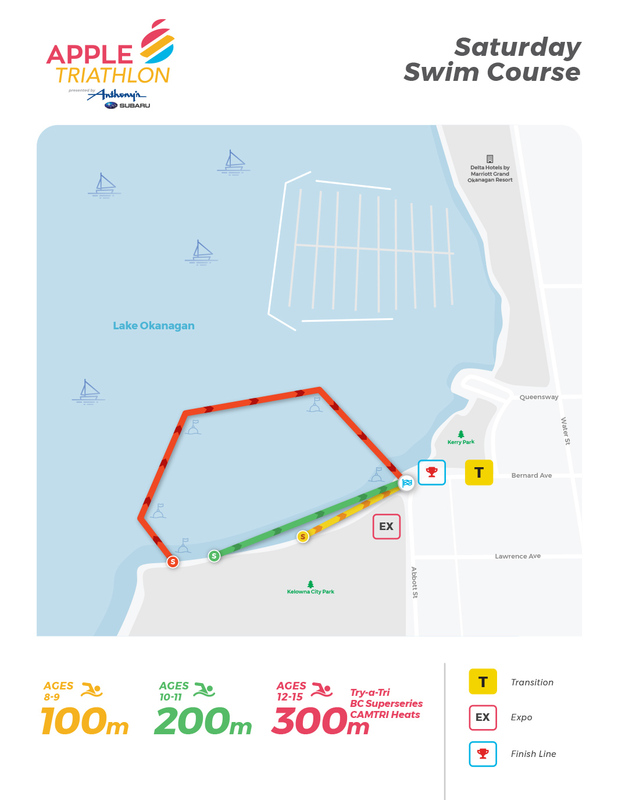 All Kids, Try-a-Tri, BC SuperSeries and CAMTRI Athletes will be using the same course, but varying number of laps. 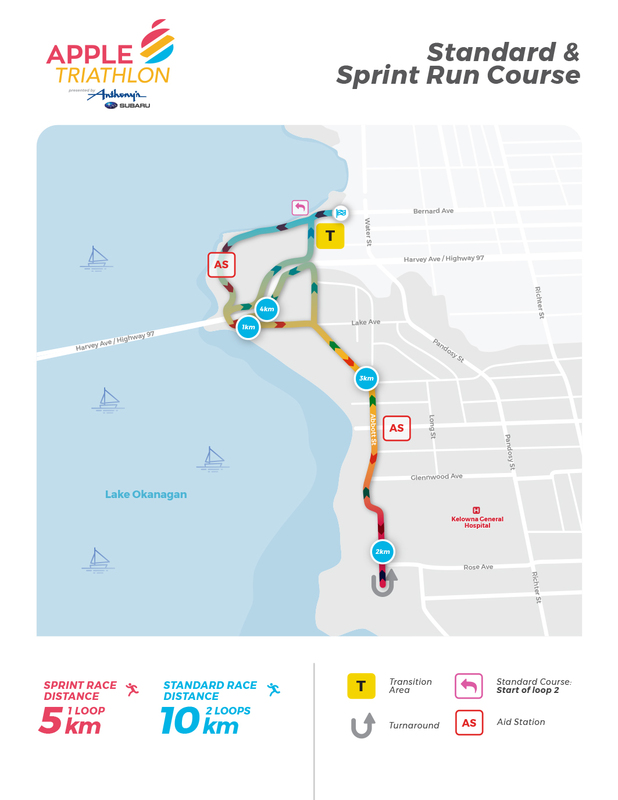 Sprint and Standard distance will use the same Race Course.